The Armor of Light—a movie about gun violence that was sponsored by the Interfaith Council of Central Florida when it was shown during the recently held 2015 Global Peace Film Festival—will be screened for the general public from October 30 until November 5 at the Regal Waterford Lakes Stadium 20 & Imax Theater at Waterford Lakes Town Center (541 North Alafaya Trail, Orlando, FL 32828). The movie’s website states: “The film tracks Reverend Rob Schenck, anti-abortion activist and fixture on the political far right, who breaks with orthodoxy by questioning whether being pro-gun is consistent with being pro-life. . . . Along the way, Rev. Schenck meets Lucy McBath, the mother of Jordan Davis, an unarmed teenager who was murdered in Florida and whose story has cast a spotlight on ‘Stand Your Ground’ laws. McBath, also a Christian, decides to work with Schenck even though she is pro-choice. Lucy is on a difficult journey of her own, trying to make sense of her devastating loss while using her grief to effect some kind of viable and effective political action—where so many before her have failed. . . . ARMOR follows these unlikely allies through their trials of conscience, heartbreak and rejection, as they bravely attempt to make others consider America’s gun culture through a moral lens. The film is also a courageous look at our fractured political culture, and an assertion that it is, indeed, possible for people to come together across deep party lines to find common ground.” Click here for viewing times and ticket purchase. Phone 844-462-7342 to confirm that show times are indeed as posted. The Hindu Society of Central Florida (1994 East Lake Drive, Casselberry, FL 32707) is partnering with the Hindu University of America, the Chinmaya Mission, the Sikh Society of Central Florida and the Interfaith Council of Central Florida to present a workshop on peace and non-violence on Sunday, November 1, starting at 1:30 pm. Representatives from a number of faith traditions will each briefly address the topic of “How to Achieve Global Peace Through Your Own Faith and Respecting Others.” The public is invited. Admission is free with email RSVP. For more information, contact Madan Arora (407-971-9259) or Dev Sharma (407-862-9920). The program will be followed by traditional Indian refreshments. “Nobel peace laureate Archbishop Desmond Tutu, known for anti-apartheid activism and as a world-renowned leader for peace, has recently scaled back his travel this year to focus on his health, but has created a legacy that his granddaughter [Nyaniso Tutu-Burris] is committed to carrying on.” And she’ll be doing just that at Valencia College’s East Campus (701 North Econlockhatchee Trail, Orlando, FL) on Monday and Tuesday, November 2 and 3. Joining her will be Robert V. Taylor, author of the book A New Way to Be Human. 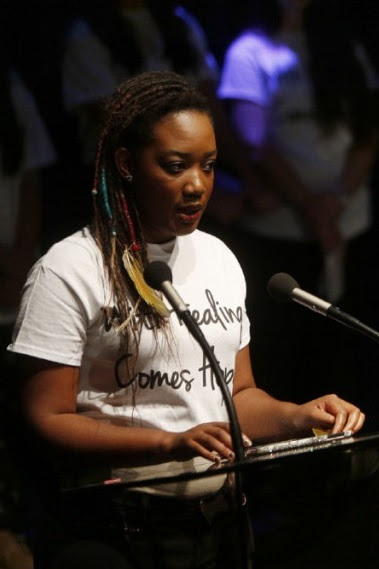 The two-day series at Valencia College is titled “Conversations on Peace: Race and Privilege.” Click here for the time, details and location of each program. The public is invited. For more detail, contact the college by email or by phoning 407-582-2291. November 17: Faith and Science: What Does It Mean to Be Human? Remember the hue and cry raised when early this year the governor in Indiana signed into law Indiana’s version of the federal Religious Freedom Restoration Act of 1993, which the Hoosier state’s legislators claimed was merely to strengthen religious freedom? The few days the law existed before it was amended, money began leaving Indiana with a great sucking sound, as major corporations and other entities said they didn’t want to do business with or in a state so willing to discriminate. Now Florida’s legislature is proposing similar legislation, which some experts say is in certain ways even worse. A number of organizations are mobilizing to try prevent passage of the bill so Florida doesn’t have a replay of what happened in Indiana (and Arizona). A group calling itself Florida Clergy Unite Against Discrimination is inviting all concerned clergy to sign a petition requesting that Florida’s legislators rethink the implications now so the legislation won’t have to be rethought—and probably litigated—later. The relief arm of the Islamic Circle of North America (ICNA Relief) will host its third annual fundraising dinner, titled “Poetry and Refugees,” to help ensure a sustainable future for refugees coming to the United States. The public is invited. Special guests at the dinner will include world-renowned Muslim poet Ammar Al Shukry, Islamic scholar and imam Muhammad ibn Faqih, as well as representatives from Catholic Charities and other agencies in Florida that work closely with ICNA Relief. Tickets for individuals and an array of sponsorships are available at Eventbrite. All proceeds go toward assisting refugees to resettle here in Florida and elsewhere in the United States. 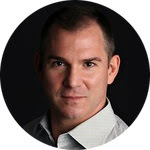 “I’m not sure if this meets the exact definition of irony,” says New York Times writer Frank Bruni, “but it definitely meets the exact definition of insanity: Across the country, there’s so much concern for college students’ emotional safety that some schools add ‘trigger warnings’ to novels and other texts. But in Texas, there’s so little concern for college students’ physical safety that concealed firearms will be permitted in classrooms at public universities . . . .” With such an introduction, it’s not rocket science to guess where Bruni stands on the issue of guns on college campuses. 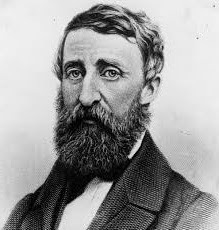 But whether one agrees or disagrees with his observations, his article deserves consideration. If you’re not familiar with the Week of the Family, then there’s no time like the present to get an introduction—because this much-appreciated event begins on Saturday, November 7, with a series of events and opportunities lasting until Sunday, November 14. The Week of the Family is that one time each year when an array of faith-based, civic, business, educational and just about every other kind of organization in Central Florida come together to inspire families to be the best family they’re capable of. And not just for that week. The week is just a boost to help them get on a better path. In fact, “The Week of the Family’s mission is to strengthen family relationships through education, wholesome activities, fitness and community service.” There’s a lot more going on that week than there is space here to tell you. So go to the WOTF website to see all that’s planned and how you can become involved. One thing the organizers are requesting is that spiritual leaders throughout Central Florida try to use the November 7-14 celebration as an incentive and natural springboard for sermons, educational presentations and events throughout the year that are designed to promote and strengthen the family. And by all means, share with all in your house of worship and community of faith the things that are going on that week that could be a blessing to families and the community as a whole. Looking for a family activity that’s not only fun but provides a sense of fulfillment because the fun accomplishes something good? Then the multi-generational festival “A Taste in the Park” may be just what you’re looking for. The event will take place on Sunday, November 8, from 12:00 noon to 3:00 pm at Venue on the Lake–Maitland Civic Center (641 Maitland Avenue South, Maitland, FL 32751). Not only will there be food galore, fun for the kids, entertainment for all ages, prizes and much more, but the proceeds will benefit the Jewish Pavilion, which seeks to enhance the lives of an age group that can too easily be forgotten—the elderly. Click here to whet your appetite and check out all the details of what’s on and how to register for the event. The Central Florida Center for Spiritual Living will host a Holistic Fair on Sunday, November 8, from 10:00 am to 1:00 pm at 1400 South Denning Drive, Winter Park, FL. The fair will feature: “Holistic Practitioners, Handmade Soaps and Jewelry, Art, Music, Books, Aroma Therapy, Henna Tattoo, Yoga, Massage, Tower Gardens, Meditation, Reiki and more.” More information is available via email. Due to high demand, there are no tickets left for the two performances of the play Kindertransport on Sunday, November 8. However, there are still seats available for a performance on Monday at 10:00 am. The play is open to the public free of charge, but reservations must be made, either online or by phoning 407-628-0555. The play,Kindertransport, which is being performed at the Jewish Community Center (851 North Maitland Avenue, Maitland, FL 32751) examines the life (during World War II and afterwards) of a Kindertransport child. At the beginning of the Holocaust, the Kindertransport (German for “children’s transport”) was an organized rescue effort that took place during the nine months prior to the outbreak of the war. The play revolves around the journey of a girl in the Kindertransport named Eva (later Evelyn). The story is not told chronologically and is often interrupted with flashbacks. Free, open to the public and being presented in partnership with the Holocaust Memorial Resource Education Center of Central Florida as part of its 2015 Kristallnacht commemoration. Click here for more detail about other plays that will be performed at the JCC this school year. 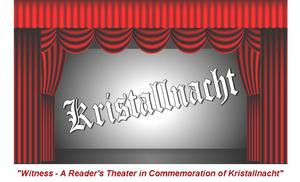 First United Methodist Church of Oviedo will perform the readers theater “Witness” (prepared by the Holocaust Center to commemorate Kristallnacht) at 7:00 pm on Monday evening, November 9, in the church’s Main Sanctuary (not in the Historic Sanctuary as earlier advertised) at 263 King Street, Oviedo. The public is invited, and admission is free. Click here to learn more about this performance at FUMCO, which is is a presentation you shouldn’t miss if you’re a student of history or if you just care about how humans treat other humans. And just what was Kristallnacht? Seventy-eight years ago, on November 9 and 10, 1938, the Nazi regime in Germany and Austria unleashed their fury on the Jews and made it incontestably clear how truly sinister their intentions were. In the space of two days, at least 91 Jews were killed, 30,000 Jews were arrested and sent to concentration camps, more than 1,000 synagogues were destroyed (95 in Vienna alone) and some 7,000 Jewish places of business were destroyed or damaged. The German word “Kristallnacht” refers to that night of broken glass. Kristallnacht was the publicly tangible beginning of the Holocaust. The readers theater “Witness” brings this infamous time alive by sharing the actual words of victims, bystanders and perpetrators who describe what they saw. 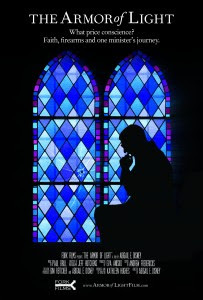 Religious leaders, members of all faiths and the general public are invited to a program titled ”Protecting Religious Freedom: An Interfaith Invitation,” which will be held Tuesday, November 10, from 7:30 to 9:00 pm at Faith Hall, First Baptist Orlando (3000 South John Young Parkway, Orlando, FL 32805). The event will feature legal experts with experience in defending religious freedom both internationally and in the United States, along with a diverse panel of local faith leaders, who will address the topic from their own experience. The panelists include: Pastor Danny de Armas, First Baptist Orlando; Rabbi Mark Goldfeder, Emory University; Pastor Augustine “Gus” Davies, Northland Church; Imam Muhammad Musri, Islamic Society of Central Florida; W. Cole Durham, Jr., Brigham Young University; Pastor David Swanson, First Presbyterian Church of Orlando; and possibly others yet to be confirmed. Learn more at Facebook. The event is free, but prior registration is required (at Eventbrite). Interfaith Discussion: What Would a Just World Look Like? The topic for the monthly Interfaith Discussion on Wednesday, November 11, is: “From the perspective of your faith tradition/worldview, what would a just world look like?” The interfaith discussion group meets from 7:00 to 8:30 pm on the second Wednesday of each month at Adventist University of Health Sciences (671 Winyah Drive, Orlando, FL 32803) on Florida Hospital’s main campus. The discussions are respectful, open and candid, and the participants represent a variety of faith traditions as well as those who question the validity of faith altogether. For directions to the meeting place, click here. Admission is free. Everyone is invited. Have you ever thought of how hard it might be to do your school homework when you don’t have a home in which to do it? Currently, 2,018 students in Seminole County face just such a situation. That’s the bad news. The good news is that because of concerted efforts, that number of homeless students was reduced last year by 11.5 percent. And herculean efforts are being made to reduce the number much further. That’s where you come in. On Saturday, November 14, Seminole County Public Schools’ Families in Transition is hosting a Day of Magical Connections at Winter Springs High School (130 Tuskawilla Road, Winter Springs, FL 32708). And here’s what they’re seeking: a 5-hour commitment, on one Saturday, from 300 people and 50 agencies. Want to know more? Then do one of the following: Go to the Families in Transition website. Send an email with your questions. Make a phone call to 407-746-8518. And/or check out the Families in Transition Facebook page. The Charter for Compassion, formally launched worldwide six years ago on November 12, 2009, is still speaking to a major world needs just as effectively as it did the day of its unveiling, as evidenced by this brief outline of its history. 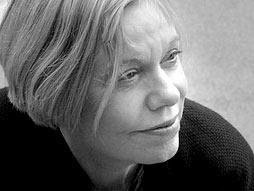 To learn more about the Charter and how it came about, check out this 2009 interview between Bill Moyers and Karen Armstrong, watch Karen Armstrong’s TED Talk and read an article she wrote for the Guardian. 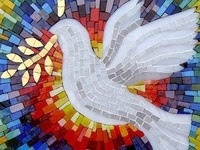 The Interfaith Prayers-for-Peace Service that had been scheduled for November 15 at the community hall at St. John’s Evangelical Lutheran Church is being rescheduled, owing to a number of changes beyond the control of the organizers. The event is being moved to February or March. Details to be publicized as soon as they’re confirmed. On Tuesday, November 17, from 8:30 to 9:45 am, Valencia College’s Peace and Justice Institute will host its biannual “Peace Breakfast: An Interfaith Gathering” as part of International Education Week. The breakfast provides an opportunity for religiously, culturally and philosophically diverse members of the college and the larger community to enjoy each other’s company and share perspectives on peace and nonviolence. A free breakfast will be served, and all are welcome. The event will be held in Room 8-101, East Campus (701 North Econlockhatchee Trail, Orlando, FL), from 8:30 to 9:45 am. For more information, go to the Valencia College website or send an email to the event organizers. The Atlantic Institute is hosting its 12th Annual Peace and Dialog Awards Dinner at the Double Tree by Hilton Orlando Downtown (60 South Ivanhoe Blvd) at 6:00 pm on Tuesday, November 17. Award honorees this year are: Dr. Richard Lapchick, UCF DeVos Sport Business Management; Margaret Linnane, Rollins College; LaFontaine E. Oliver, WMFE radio station; and Sister Ann Kendrick, Hope Community Center. Featured speaker Dr. Helen Rose Ebaugh, from the University of Houston, will address “The Role of Education in Fostering Mutual Respect Across Global Civilizations.” This year the Boys and Girls Clubs of Central Florida will receive the net proceeds from the event. The mission of the Atlantic Institute is: “Through a wide range of activities that bring local community members from various ethnic and religious backgrounds, we seek to proactively contribute to educational, cultural, social and humanitarian issues in our community. We believe in the power of personal interaction and communicative dialogue as they are the best channels to build mutual understanding, trust and harmony for a peaceful world.” Click here for details about costs for the dinner, sponsorship opportunities and how to book your reservation. “Orlando YAYA-NFWM [Youth and Young Adult Network of the National Farm Worker Ministry], University Unitarian Universalist Society, 1st Unitarian, and the CIW [Coalition of Immokelee Workers] will be joining forces to call on Publix to take action, do the right thing, and sign the Fair Food Program!” says the advertising flyers and website promotional material for the event. “This Thanksgiving, we are Uniting for Fair Food in a National Day of Action—Saturday, November 21—as we give thanks to the laborers who harvest our food every day! Farm workers are asking Publix and Wendy’s to move beyond a charity model and commit to farm worker self-determination by joining a New Day in Florida‘s tomato fields.” Click here for more information about the rally. A consortium of Christian congregations and other local entities is planning to hire the Citrus Bowl for two kinds of all-out service on Easter Sunday (March 27, 2016)—a religious service to celebrate the resurrection of Jesus, and an array of community services designed to connect those in need with appropriate community resources. The event, titled “He Got Up,” and operating under the leadership Tim Johnson, pastor of the Orlando World Outreach Center and a former professional football player, is all about “people lifting people,” Johnson says. Event planners are seeking 5,000 volunteers, who will not only help prepare for and execute the March 27 Easter extravaganza, but will also involve themselves and the entities they represent in follow-up on an ongoing basis. It’s not a one-time event but a springboard for long-term service, organizers say. Learn more about the event and the volunteer opportunities at the website of the Serve Orlando Foundation. The Interfaith Council of Central Florida, Friends Talking Faith With the Three Wise Guys radio program, and the just-emerging InterDiversity Institute—all of which work closely together—have done the math and have concluded we need $19,000 more for 2015 than our donors have committed. We invite those who are blessed by the contribution we make to the community to help us in return. All contributions are tax-deductible and may be sent to: PO Box 3310, Winter Park, FL 32790-3310. Indicate which of the three entities above you wish to receive the benefit of your gift. Thanks to all whose support has made our activities possible and for helping achieve this goal.